COMPOSTELA, CEBU-A student research on natural fiber made of snake plant (Sansevieria trifasciata) endemic to this part of the country won in the the first Regional Inventions Contests and Exhibits on Davao Region. Lovely Asur and Angelou Angway of the Compostela National High School discovered the potential of snake plant as a source of natural fiber by accident. Initially, Asur said they intended to research on the antibiotic properties of the plant leaves. We noticed a lot of threadlike substance when the leaves were rotten so we refocused our study. The fiber were smooth and creamy white when taken from the rotten leaves and dried, Asur said. 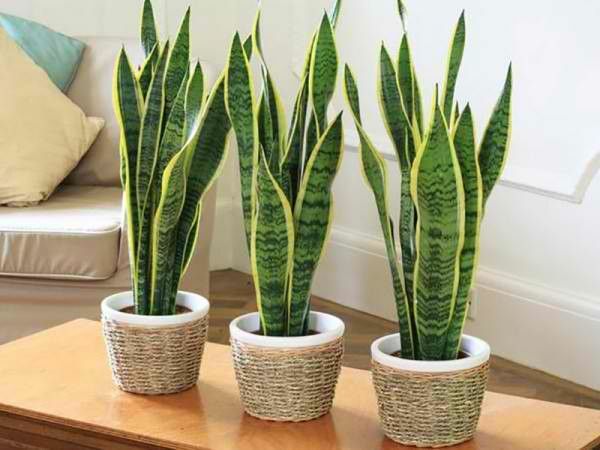 Based on their research, the snake plant threads were used by early Filipinos as bow string, in addition to the plant’s ornamental purposes and role in air purification. To obtain the fibers, the students soaked leaves of the snake plant in water for three weeks, then rinsed and dried. The fibers are then subjected to tests to determine how it compares to commercially available natural fibers such as abaca and pina. The elongation limit test showed that the snake plant fiber can stretch up to an average of 36.56 percent of its original length almost near abaca fiber’s elongation limit of 47.49 percent and longer than linen’s limit of 30.51 percent. Using the strength test, the students determined that the natural fiber has a breaking point of 1,327 grams. Like abaca, the snake plant fibers smells like paper when burned. Based on the physical tests, the natural fiber made from snake plant is comparable to commercial textiles because the elongation limit and strength are almost in the same range as that of commercial fibers, even better than cotton in terms of elongation limit. Asur and Angway recommended that the government invest on further research and development of snake plant as a natural fiber source. Aside from textile production, the students suggested medical application for the fibers as thread for surgical operations because it can easily degrade within the body. The two are hopeful that the snake plant would create more jobs locally when it becomes a commercial source of fiber.